Yesterday was like two days of work in one, all because of a wrong number. 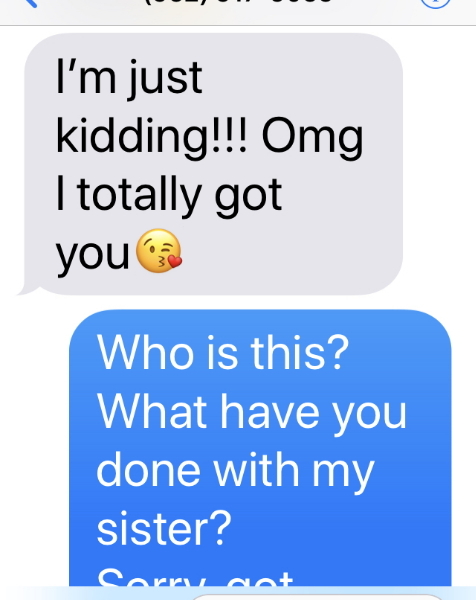 I finally experienced my first wrong number when attempting to send a text message, and fell prey to a prankster who toyed with me rather than let me know. After the fact, I discovered I had two records in my contacts for my sister, Judy. Who looks at phone numbers any more? I just look at a name on my phone and connect to that. Apparently, I don’t initiate very many texts to my sister. Last Wednesday, I tried sending her an invite to come visit us before they pack up to head south for the winter. 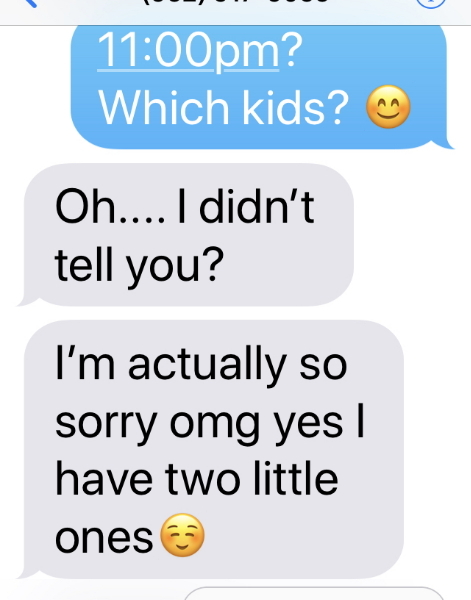 The ruse worked because the initial answer was completely believable as something my sister might say, and it was what I wanted to hear. The second answer threw me for a loop. 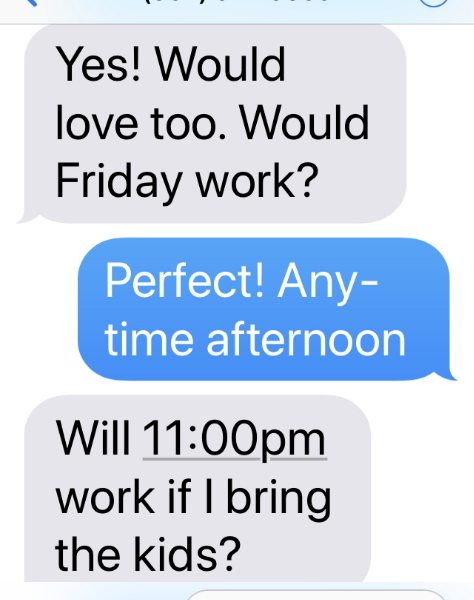 Was that a typo and she meant 11:00 a.m.? What kids was she referring to? Their dogs, or grandkids? The reply was rather uncharacteristic, but still possible. I don’t think Judy uses “omg” so much. How was I supposed to respond to this? What my uncertainty reveals is that am not so good at keeping in touch. Any number of possible changes could have occurred since I last talked with my sister. I just didn’t know if there was maybe something I should know, so I was feeling awkward. I let some time pass without a response, basically because I didn’t know what to say. Then, after a perfect pause, came a follow-up that let me off the hook. Except, this just didn’t feel at all like I was texting with Judy. Thus, my reply. Had she been drinking? Did Scott grab her phone and was having some fun with me? The final reply mentioned our chickens and making sure they were getting enough water because it’s so hot out, so I felt like it had been a weird exchange, but it must be my sister. It was hot out. Funny how the mind works, because reviewing it later, I realized my previous message mentioned closing the coop, so I had obviously provided that morsel of feigned familiarity. I’m a pretty easy mark. The result of all this? Cyndie and I operated under an assumption that Judy and Scott would come for the afternoon yesterday. 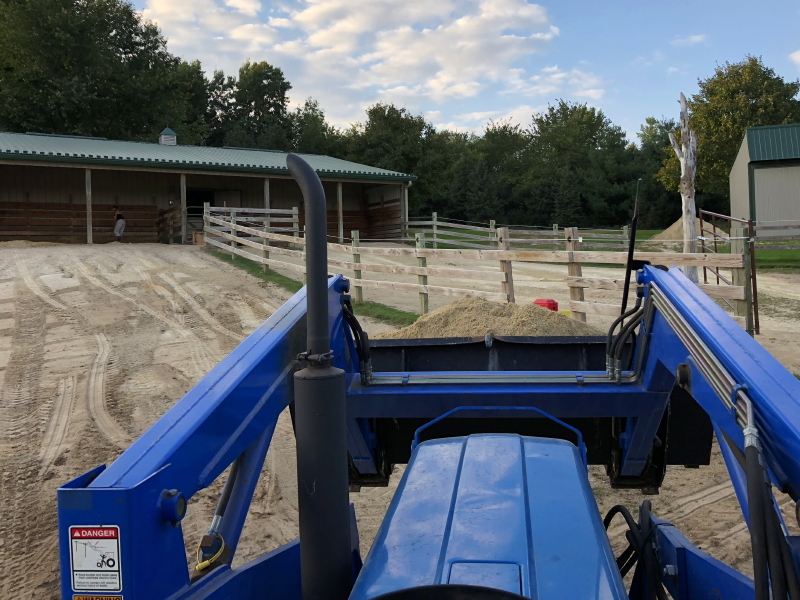 We dove into some heavy work early in the day, clearing out the brush by the road and raking the round pen. At noon, we showered and prepared for company. I texted Judy again to check status. Cyndie texted and got an immediate response. They were already on the road to Arizona, having left the day before I had tried to send the invitation. That’s when I discovered I had two entries in my contacts for Judy. One was probably so old, she didn’t even recognize the phone number I had used. 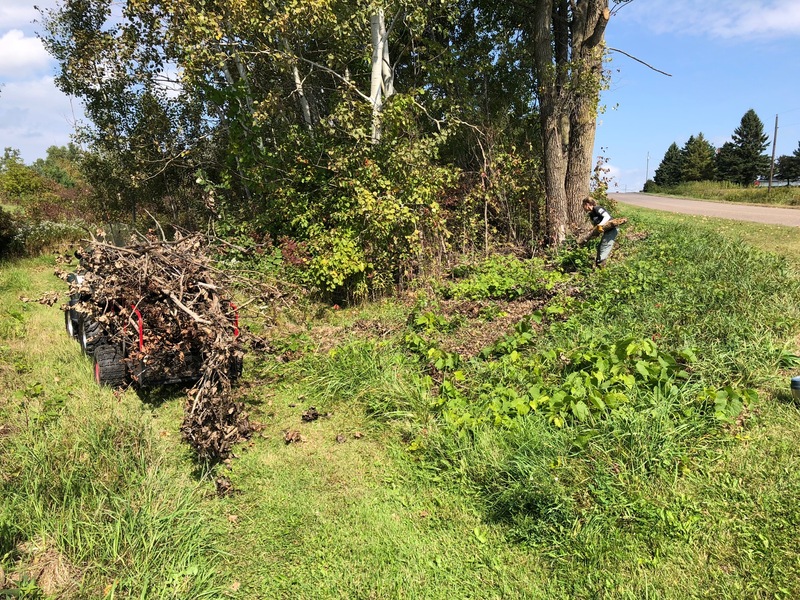 With our afternoon now open, we changed back into grubby clothes and headed out to move piles of compost and spread fresh lime screenings in the paddocks. It was a two-shower day. A different day than we had planned, but with twice the accomplishments than we had expected when we started out. Plus, Judy, Cyndie and I got a good laugh out of it. Don’t forget to use a secret password so I will know it is you texting. The prankster replied today to my query yesterday before I figured out it wasn’t you. I played dumb and strung them along for a while. I think they figured out that I was on to them and lost interest.